Nick Schultz | The Phoenix Loyola sophomore guard Abby O'Connor goes up for a layup against Northern Iowa Feb. 8. Nick Schultz | The Phoenix Loyola first-year Allison Day goes up for a shot against Northern Iowa Feb. 8. Nick Schultz | The Phoenix Loyola sophomore guard Ellie Rice shoots a free throw against Northern Iowa Feb. 8. 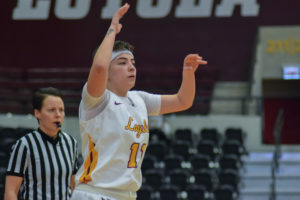 Despite a late fourth quarter surge, the Loyola women’s basketball team (10-11, 4-6) fell to the University of Northern Iowa (UNI) 71-65 at Gentile Arena Friday night. 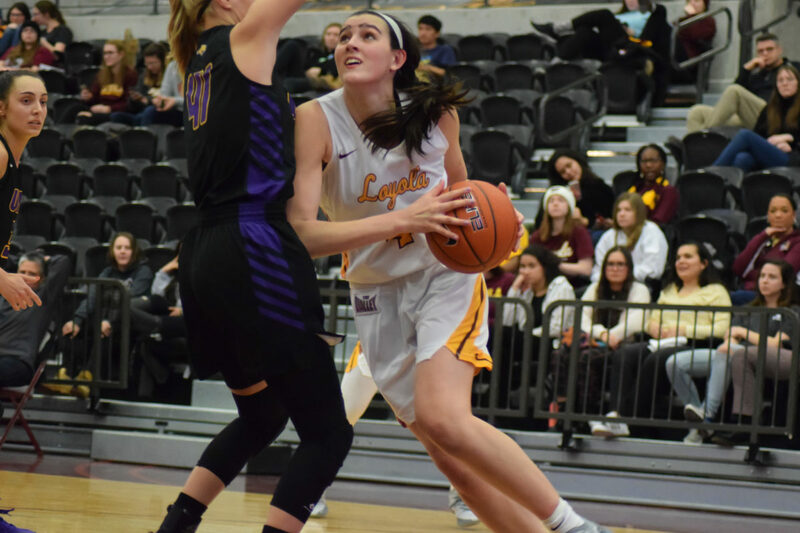 Loyola sophomore forward Abby O’Connor picked up her fifth double-double of the season in the effort, tallying 15 points and 11 rebounds. First-year guard Janae Gonzales led the team with 20 points, going 8-for-17 from the field and 4-for-11 from beyond the arc. UNI — which ranked second in the Missouri Valley Conference (MVC) preseason poll — came into game with a 6-3 record in the MVC play and 13-8 record overall. Despite the win, the Panthers remain in third behind Drake University and Missouri State University. 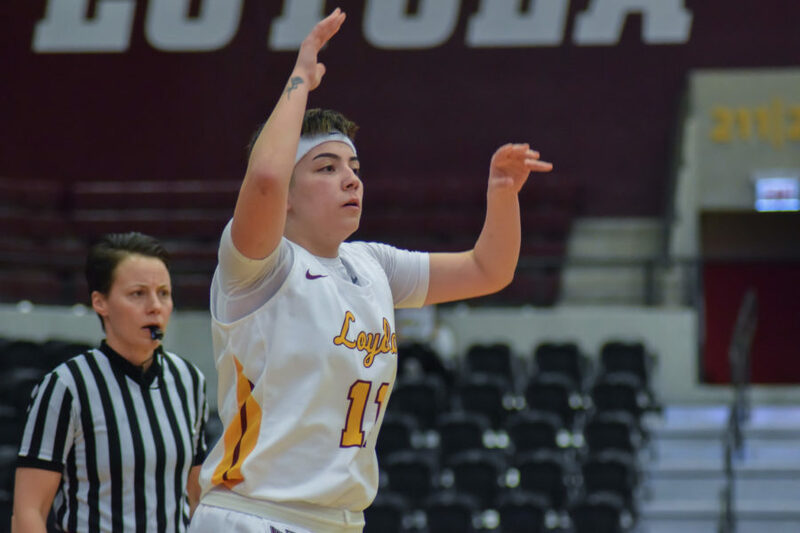 Nick Schultz | The Phoenix Loyola first-year guard Janae Gonzales had a game-high 20 points against Northern Iowa Feb. 8. The first quarter was close as both teams had an aggressive offense. Loyola went 9-for-17 from the field, but only 2-for-6 beyond the arc. Impressive showings from Gonzales and O’Connor carried the Ramblers into the next quarter tied 20-20. 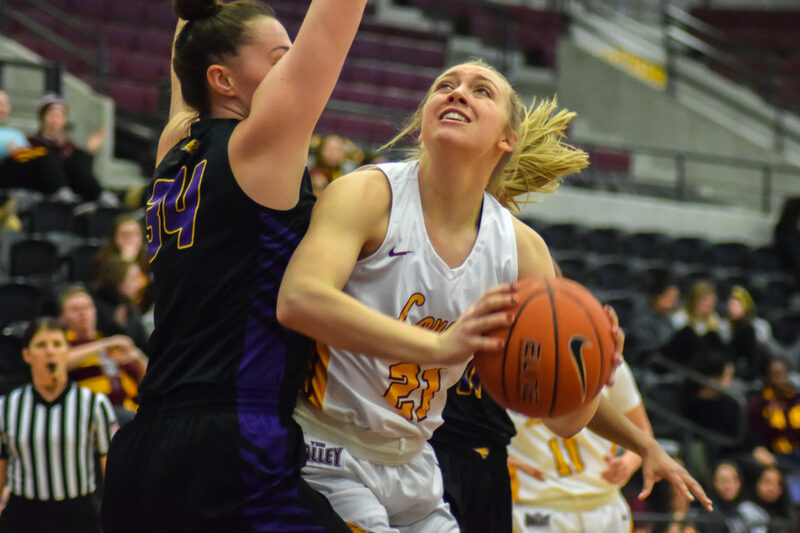 UNI sophomore guard Nicole Kraeger went 3-for-3 on three-pointers in the second quarter to help the Panthers pull away from Loyola. The Ramblers had a 40 percent shooting percentage from the field and failed to make a single three. Loyola headed into halftime down 40-32. The distance grew between the two teams as Loyola tallied six turnovers in the third quarter, allowing UNI to capitalize. 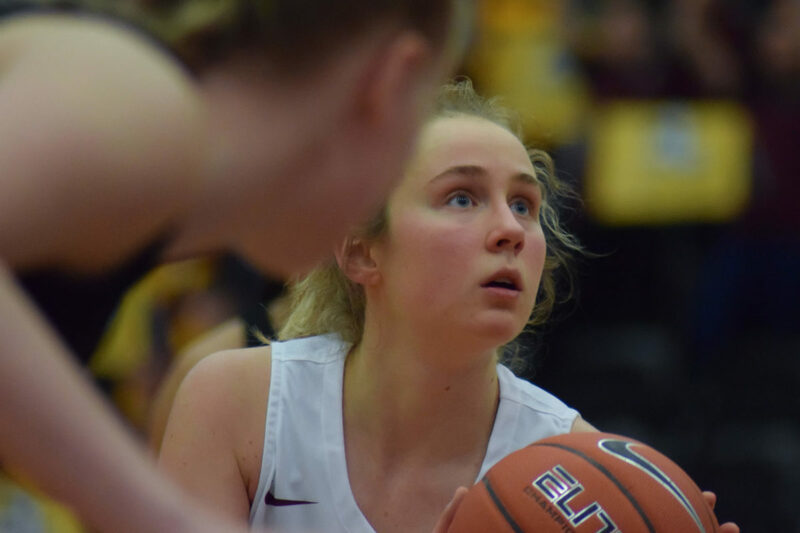 The Ramblers only made six shots in the first half, while the Panthers hit 10 to take a 57-43 lead into the fourth quarter. Although the Ramblers were able to create some action in the final quarter, they were still unable to pull ahead of UNI. Loyola cut a 19-point lead down to a six-point difference with less than a minute left of the game, but eventually fell 71-65. The Ramblers are scheduled to play Drake University on Feb. 10 at 1 p.m. at Gentile. The game will be broadcasted on ESPN+. I have noticed that over the course of creating a relationship with real estate managers, you’ll be able to come to understand that, in most real estate exchange, a commission is paid. In the long run, FSBO sellers tend not to “save” the percentage. Rather, they fight to earn the commission simply by doing a great agent’s task. In this, they commit their money and time to complete, as best they are able to, the jobs of an broker. Those jobs include uncovering the home via marketing, delivering the home to all buyers, creating a sense of buyer emergency in order to trigger an offer, making arrangement for home inspections, dealing with qualification assessments with the financial institution, supervising maintenance tasks, and facilitating the closing.